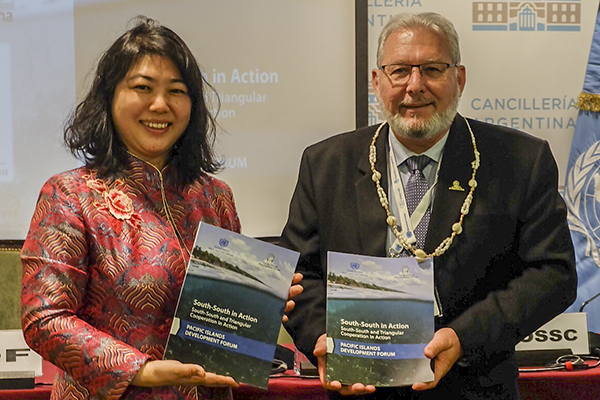 19 March 2019, Buenos Aires, Argentina – Ms. Xiaojun Wang, Deputy Director of the United Nations Office for South-South Cooperation (UNOSSC) and Mr. François Martel, Secretary General of the Pacific Islands Development Forum (PIDF) launched the publication entitled, South-South and Triangular in Action: Pacific Islands Development Forum, on the sidelines of the Second High-Level United Nations Conference on South-South Cooperation (BAPA+40). “South-South in Action is a demand-driven platform envisioned by the United Nations Office for South-South Cooperation, with a view to capture Member States, UN entities, IGOs, NGOs and other stakeholders policies, ideas, strategies and work on South-South and triangular cooperation,” said Mr. Denis Nkala, Regional Coordinator and Representative for Asia and the Pacific, in presenting the publication during the launch. The new volume outlines the rationale and foundations of the creation of PIDF as a “South-South” institution, its values and projects. In launching the publication, the Secretary General of the Pacific Islands Development Forum informed participants that the publication reflects that the “PIDF underlying principles resonate with those of South-South Cooperation: manifested in solidarity among the Pacific countries, respect for sovereignty and flexible approaches to South-South partnerships. PIDF membership is entirely dedicated to the Pacific countries and territories and the organisation is uniquely mandated by its Member States to promote South-South cooperation,” he said. The launch of this publication was conducted during the side event “Shaping the Future Regional South-South Cooperation: Sharing the ASEAN Experiences and Nurturing Synergies Across Regions” on 19 March 2019. 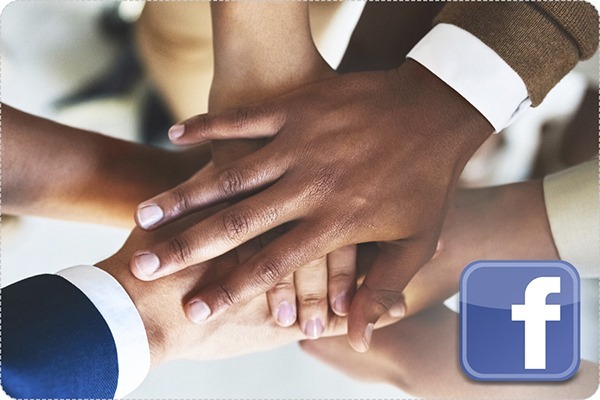 Attendees included ministerial representatives and delegations of Member States, regional and intergovernmental organizations and institutions, private sector and international and research institutions.